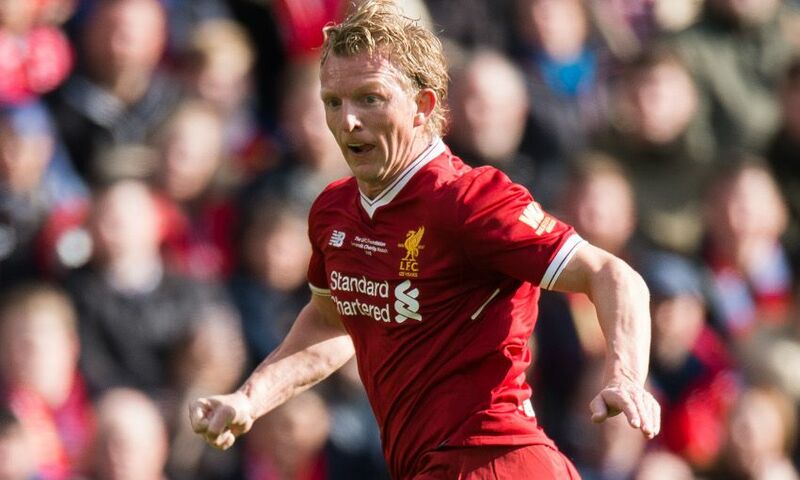 Luis Garcia paid tribute to a trademark Dirk Kuyt performance after the Dutch striker made a long-awaited Anfield return yesterday. Kop favourite Kuyt scored the opener as Liverpool Legends played out a thrilling 5-5 draw with their Bayern Munich counterparts in a match organised to raise funds for the LFC Foundation. And Garcia was pleased to see his former Reds teammate putting in the sort of tireless display he was renowned for during his playing days. The Spaniard told Liverpoolfc.com: "He was running the whole game! He was the youngest and he gave us the full 90 minutes and the goal and many chances. "So I think it was fantastic to have him back." Garcia, a Champions League winner during his three-season stint at Liverpool, also reflected on an emotional day on a personal level. "I'm so happy to be back here at Anfield. The crowd were again amazing. And it's for a fantastic cause with our foundation," he added. "I think with a draw, we were waiting for another goal. We couldn't quite do it but at the end I think everybody enjoyed the game. "It’s always a mix of feelings to come here, seeing some old friends and to catch up with most of them. And you see the crowd and all the kids coming to Anfield. "A lot of the kids were coming for the first time so I think it's a fantastic day. "It's about playing 90 minutes for some of the lads, the other ones a few minutes. We saw Aldo struggling a couple of times! I think we should give him man of the match just for the chance to be here back at Anfield. "It's just been fantastic to be back."